We have been running the new JPA for about one week and implemented already a lot of updates. 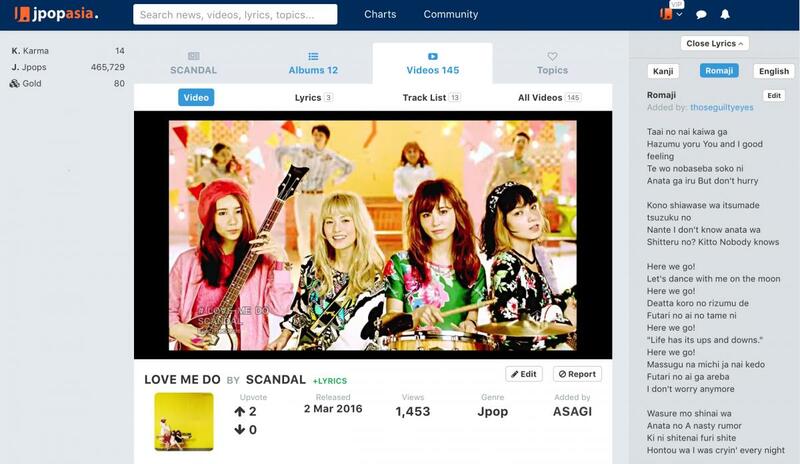 Popular requests like lyrics at the side of the playing video, wallposts, and editing comments have all been implemented. 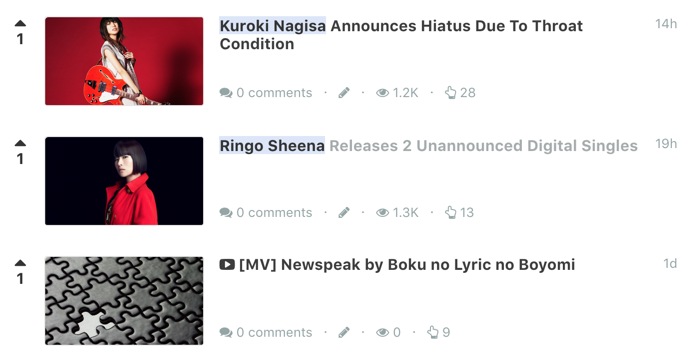 The frontpage feed still needs a lot of tweaking, for now, we made it chronological and added an extra row of trending videos. Fixed foreign characters being cut off showing "?" Wow, I&apos;ve got to say I&apos;m impressed that you&apos;re so open with the redesign of the site. The transparency is appreciated. I will also say I miss the grids of new/trending music videos. That was a huge reason why I kept coming to this site. It was an easy way to discover an array of current/new-to-me music. So, I hope that feature comes back or, if it&apos;s still there somewhere, it becomes more noticeable. It was convenient on the homepage. I still don&apos;t see the friends list anywhere. This looks really awesome! I can&apos;t wait to see the changes. Also, YAY! The forums are coming back! Can I suggest to promote that "color change appearance" when you open a certain topic/mv/or any links on JPA or that "CSS" thing so that it would be easier for us to determine when we already clicked/opened that topic. I hope it would be applicable later. The trending vids on the old version is basically the same as the two row version you see now below the trending news. How it determines trending videos work the same way, the only difference is that it&apos;s more separated by genre now. Just a question: How would you level a song to be on the trending videos? Like the songs of BlackPink, It&apos;s a trending video yet I don&apos;t see it on the trending videos. Thanks. . Almost forgot to ask this but will there still be a forum ranking system? Is the true fanned system going to be the same as before? I really liked the true fanned list on the side of the wall like it was before. It made it really easy for me to go on the bands I liked&apos;s pages. So hopefully that will be back or at least a variation of it. Moreover, I added new albums/singles but they didn&apos;t appear on an artist&apos;s certain discography page. Is it possible if it will be done in everything we click? not only on the trending topics but also in clicking names especially in welcoming new users for example. The profile pictures don&apos;t appear on our profile anymore, I only know its still there because its in the menu, can you fix it please? I set my profile into public using settings, but when my friends views my profile, it was still hidden. Can u fix it? i dont know where to post this, but is there a chance to add "emotional" to the mood vote for songs, it is a missing mood that fit many songs. What happened to the chat? I don&apos;t know if I can&apos;t find it or it has just completely disappeared. Maybe not in the way as in the old version but we are thinking of an "medals & honors" system. You won&apos;t see a ranking but you&apos;ll get a medal attached to your user profile for example "Most posts in forums - August 2016"
Got it. Thanks for the suggestion too why you liked it, helps a lot determining the value of it. Btw why did you use those shortcuts? To get easily to their videos? Anyway it will come back! Yeah, I used the shortcuts to get to their videos, and I also check their discography quite often when I&apos;m sharing them with other people so it made it super easy. Another option could be to be able to click on the artist link in the following page and being able to go to their page. When I tried doing that, it just unfollowed the band. Its not only that but the true fan system was fun, also looking on someones wall an knowing what he likes and through the ranking who his favourites are was really practical, following is just not the same. Yes definitely. It will show up in the feed with priority and marked with a star. Coming weeks you will receive an email and possibly appear in your notifications. May ask if the friends list will return anytime soon?